Are you noticing this in Your Life? I hear it all the time from my clients when we first meet. One of the most common things they say is, ” Dike, I can’t go on like this for much longer” and it is true. 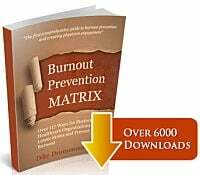 They are suffering from physician burnout and they know it, but here is the massive challenge. Even though you realize clearly that THIS can’t continue for much longer … most people don’t have a plan to do anything else. Hoping and wishing and holding on for dear life … going into the office one more time and praying it will be different today … you realize that’s crazy … right? 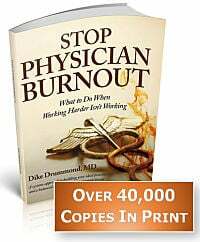 Let’s stop the Physician Burnout Crazy Dance .. O.K.? Physician Burnout is not a ride you take until its inevitable conclusion. It is something we can recognize and STOP Today. Are You Stuck Like This? 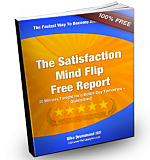 … you know you have to change and have no idea what or how to do anything differently? 1) It is your neuroanatomy … which is automatically focused on your problems. 2) Compounded by your Training and the Conditioning of Residency and Practice to always focus on meeting other people’s needs. You are crystal clear on what you Don’t Want … and much less clear on what you really Do Want. I know this is a very simple concept and it is fundamentally true. It is invisible to you because it sits dead center in an Awareness Blind Spot that is unique to doctors. This blind spot is one of the key causes of physician burnout. The answers are right in front of you when someone asks the right questions. You just can’t see them from the fishbowl of your weekly routine as a busy doctor. This sets you up to have a single dysfunctional coping mechanism … Working Harder. 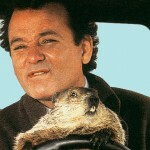 Are you ready to break the Groundhog Day Pattern … Stop The Crazy of physician burnout … and get more of what you really want in your Life and Career?